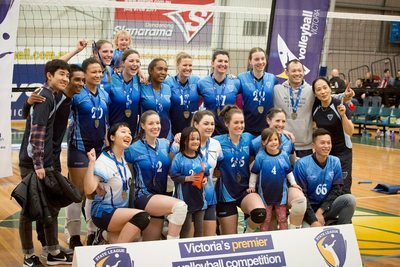 Teams have fought very hard to make it to this final stage of the Volleyball Victoria State League 2017. Our teams have made history by making it this far with our undefeated Reserves Men trying to complete a double hat trick by competing for their 6th consecutive title; Premier Women making it into the final not winning a premiership since 2008; and our Division 2 men battling it out in the very first Monash vs Monash Final! It will be a day to remember so come on down in your blue and white and cheer for your teams competing for ultimate glory! #TeamMonash Please see the event for match times and locations. Come and check out the remaining crucial State League Rounds our teams are competing in here. Good effort, Monash Uni Volleyball Club, we managed to raise $330 in the Volleyball Victoria State League Pink Round for Breast Cancer Network Australia. All teams won their matches for the day - outstanding effort for good a cause! Monash University Social Volleyball Pink night. This Wednesday night is extra special as we aim to raise awareness for breast cancer in our community. Come down tomorrow night and wear anything pink in show of your support. Also all proceeds of the night will be donated to Breast Cancer Network Australia! more info here. 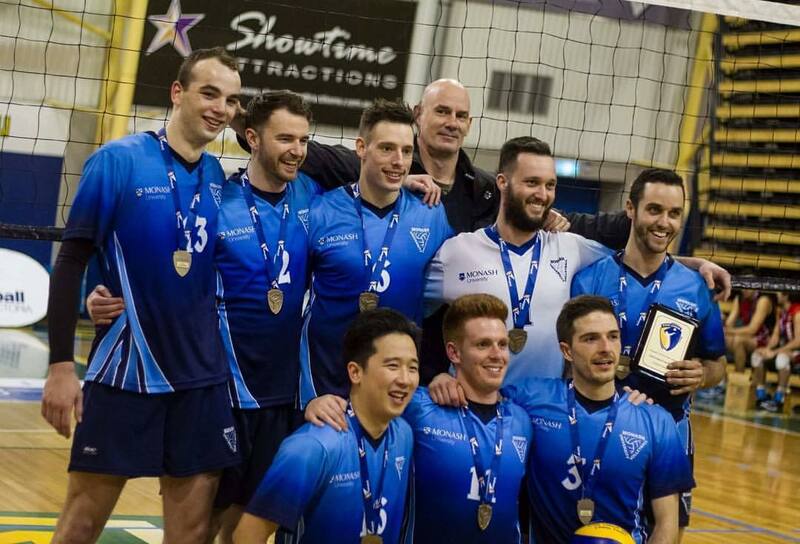 Come celebrate the rivalry shared between Melbourne University Renegades Volleyball Club and MUVC at the 3rd Annual University Cup as part of Volleyball Victoria State League on home turf! #TeamMONASH Event: here. We will be running Social Volleyball from 8:30pm and probably Div2 Women's as well. Juniors are welcome to come down and join in if they wish. Spread the word! Our Junior programs have just started! With the recent addition of the Junior Boys Training Program in 2017 we now offer a complete Junior training experience catering for both boys and girls. We encourage juniors(16 and under) of any skill level to come along and give it a go. Parents are welcome to watch or can join in and help out! See Our Programs for more info. 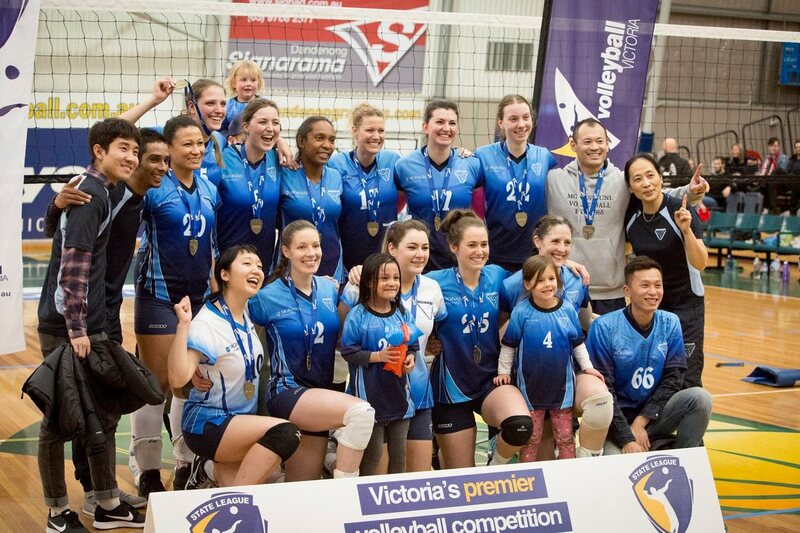 Interested in playing Victorian Volleyball League in any of our women's divisions for the 2017 season? Come down to Maranatha Christian School in Endeavour Hills this Tuesday and Thursday at 7:00pm! Message the page for any further details. HAPPY NEW YEAR to all and welcome to 2017! 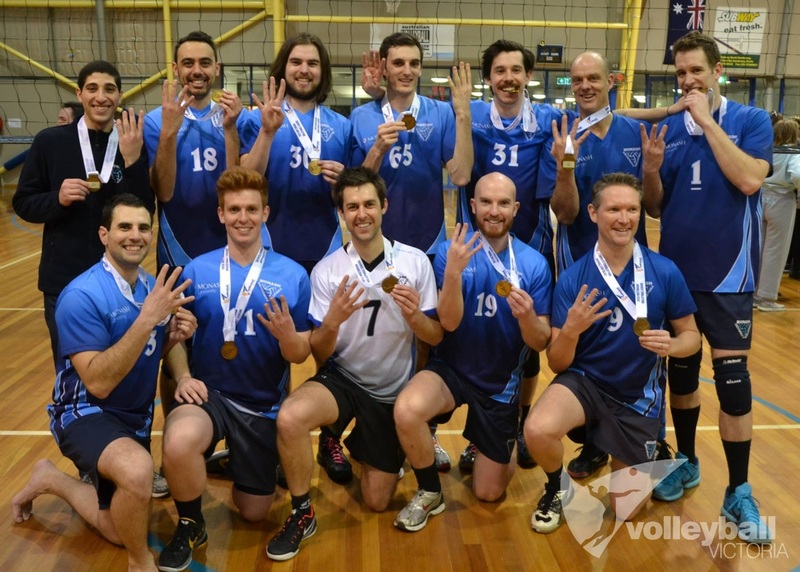 Round 1 starts even earlier this year on the 25th March so be sure to contact us if you are interested in playing competitive volleyball or come down during one of our training programs to get started. MEMBERSHIP - HOW CAN I JOIN? Then come down to any of our trainings programs. Men & women Div2/3: To start Jan 16th from 8:30pm-10:30pm at The Stadium, Monash Uni, Clayton campus. Trainings are open to all interested for a month after which teams will be selected. If you would like to join trainings afterwards please see the coaches at Social Volleyball to be invited. Men & women Prem/Div1: To start Jan 24th. Juniors: 5:30pm - 7pm from February 8th at The Stadium, Monash Uni. For more details please refer to the website, coaches or contact us directly. Stay tuned for our 2017 schedule to be announced soon! 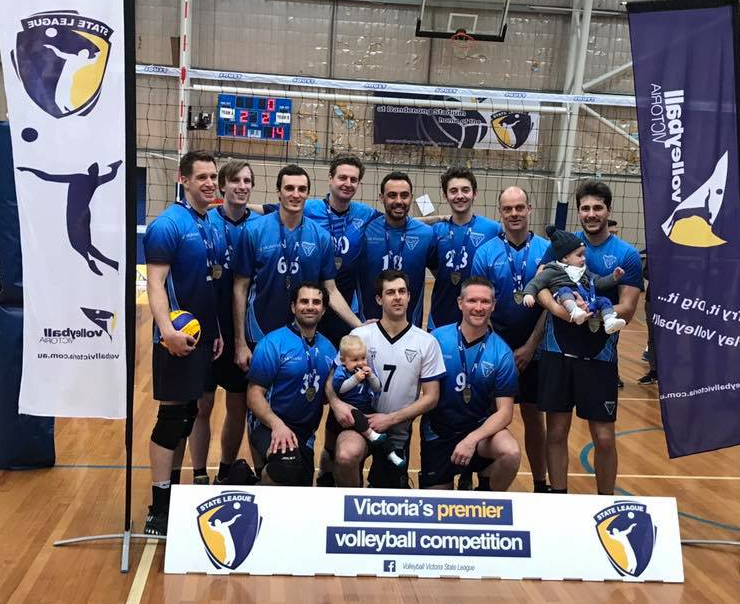 Volleyball Victoria are looking for qualified referees for Saturday morning matches being held at the State Volleyball Centre. Matches start at 8.50 & 10.30. Pay is around $30 per match. Dates are. 26 Nov, 4, 11, 18 & 25 Feb and 4 & 18 March. If you have a qualification and are interested contact Josie josephine.ball@hotmail.com or 0403 903 902 for any more info. 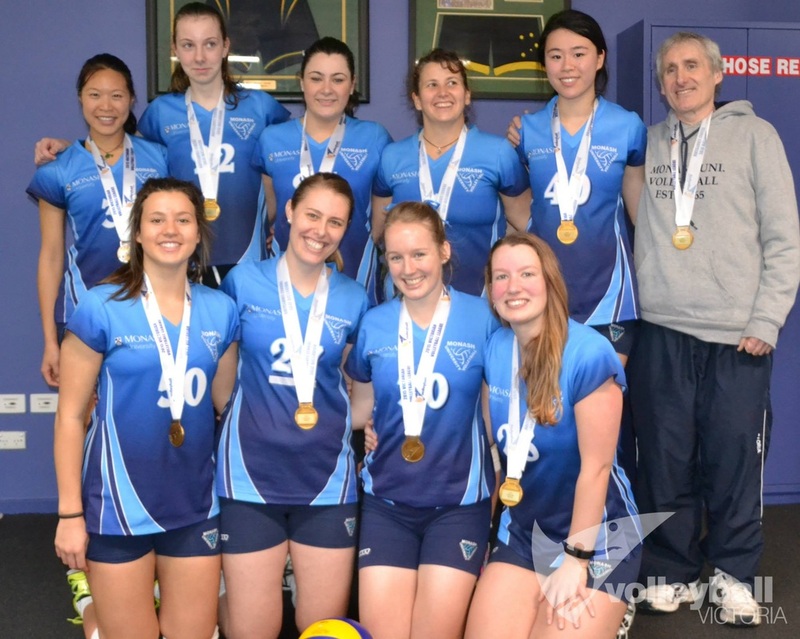 Monash University Volleyball Club is the largest volleyball club in Victoria, featuring teams in all divisions of the Victorian Volleyball League. The club has been unprecedented in winning the most successful club award for 12 of the 16 years this award has existed. 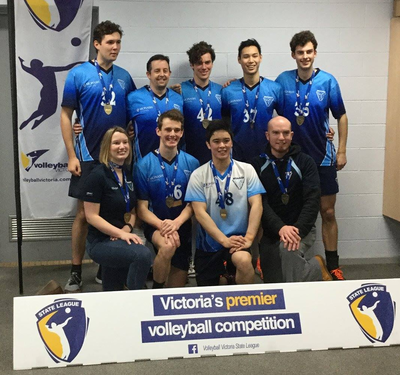 We are currently seeking coaches for the 2017 Victorian Volleyball League season which runs from March to August, with preseason commencing from late January 2017. In addition to the coaching opportunities for the Victorian Volleyball League, opportunities also exist with our social and junior programs. Should you like more information on any of the positions or like to express interest please contact our Club Secretary on secretary@monashvolleyball.com.au, or send a private message to our Club Facebook page. Well one to our premier women who defeated top of the ladder Heidelberg today in a thrilling 4 set match! Playing only for the second time in Australia since the Sydney Olympics our Volleyball Team Australia Women's Volleyroos need your support this year when they take on powerhouses Cuba, Crotia and Colombia in Round 1 of the FIVB World Grand Prix. Be sure to get down to Bendigo in June to show your support. Please note that our Junior Volleyball Program will not be running next Wednesday the 20th of April. We are pleased to announce the start of the Junior Girls Training Program on Wednesday 23 March at The Stadium. As one of the largest and most successful clubs in Victoria, we are keen to support the development of junior volleyball. We enter teams in all levels of the State League competition and seek to provide pathways for junior athletes. The club is entering a junior girls team into the Junior State League (JSL) competition, which commences in early April and finishes in August. The training program will be for the JSL team as well as for girls who would just like to train and improve their skills. All ages and skill levels are welcome. Details for the training program, JSL & draw can be found on our website. Reminder that there will be NO SOCIAL VOLLEYBALL this Wednesday 16th March as the university is using the stadium for an event. We will be back on next week! Come down and find us this week at Monash University's Clayton O'Week where we'll be happy to answer your questions. Also if you haven't yet signed up as a member for 2016 you can do so in person on Wednesday nights or online here: http://goo.gl/forms/GuanrBSmw3. Monash University students go into the draw for a special prize! We offer you to be a part of a team environment as we compete in the 2016 Volleyball Victoria State League. If you are interested in playing competitive volleyball it isn't too late to join - new players are always welcome! Please come down on Wednesday and have a chat with our coaches asap. To submit your expression of interest, or get further information, please email secretary@monashvolleyball.com.au or send the club a private Facebook message via this page! Please contact us if you would like to represent us by competing in Monash uniform! HAPPY NEW YEAR to all and welcome to 2016! We have a few things coming up in January/February so be sure to stay on the lookout! Round 1 starts in early April so make sure you contact us if you are interested in playing competitive volleyball or interested about costs. 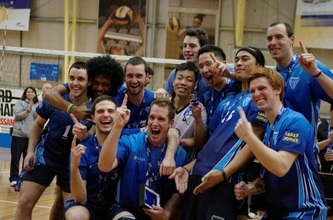 Please use our online sign up form to become a member of Monash University Volleyball Club here: http://goo.gl/forms/GuanrBSmw3 VVL players are advised to sign up asap before training commences. 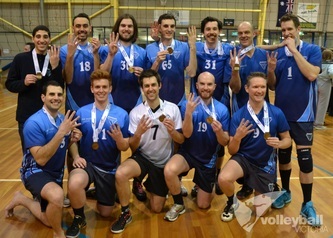 Men Div2/3 - from 13th Jan 7pm (every Wednesday) Trainings/trials are open to everyone for competitive volleyball - A training squad will be chosen by February since the season starts in April, so don't miss out. If you would like to join trainings after February please see coaches down at Social Volleyball to be invited. We are back this year running from the 13th January from 7:30pm until 10:30pm(leave anytime), every Wednesday throught the year. Open to all people of any levels. Come down for a good night of social volleyball that includes some skill work and lots of games! We encourage all juniors interested in playing competitive volleyball to inquire within. Hey guys, welcome to 2016! If you've been missing your beloved volleyball then fear not! For anyone interested in joining the competitive side of the club, for mens, we begin pre season on wednesday the 13th and trainings will be open to anyone for a month, by feb we will have chosen a training squad and the only other way to come over is by playing social and getting invited over by Coaches found at Trainings and Social Volleyball. We still need to confirm what is happening for the girls. Hope to see you down there! Monash University Volleyball Club will be running their last Social Volleyball night for this year tomorrow from 7:30pm at Monash Sports Clayton Campus. This marks the end of our season and we would like to thank past and present players, coaches and the extended volleyball community for their support and commitment to training throughout the year and we wish them a safe and enjoyable break as we go into a New Year! We would also like to wish the best of luck to the schools currently competing in the Australian Volleyball Schools Cup who are playing at Melbourne Sports and Aquatic Centre (MSAC) and State Volleyball Centre - Dandenong during this week. Come and support our Premier Men, Reserves Men & Women, and Division 2 Men in their Victorian Volleyball League Grand Finals this Saturday!! Tomorrow we have 3 of our teams battling it out to make the grand final in their divisions. Come down and show your support for the following teams! Well done to all teams that competed on the weekend! Congratulations to our Reserves men and women who are both straight through to the grandfinal. Our Premiers men and Div 2 men's teams will have to fight it out this weekend for their spot in a grandfinal, so come along to cheer them on! The Monash University Volleyball Club's 50th Anniversary Black Tie Celebration has now been finalised. Follow the link for event details and how to purchase tickets here. Reminder that MUVC AGM is on THIS Thursday 30th April 6:30pm at Carwatha College. For more information see event details. Great to see the club making ‪#‎teammonash‬ news! Come down to Monash Sport this Saturday to help us celebrate 50 years! Hey guys, we have received a bit of support from these guys recently, could you all please go to the page and 'like' GMVA! Come down to Monash University, Clayton as we take on rivals Melbourne University in Round 1 of the Victorian Volleyball League. Go ‪#‎teamMONASH‬ ! Here are more photos from the O-week/Social BBQ! There's also photos from the Div 2 & 3 State League training. Great to see such a big turn out. Social is held every Wednesday at 7:30pm at Monash Sports Stadium (Clayton). Welcome to our new volleyball members! We have a BBQ running tonight for all those who have and will be signing up to play social or competitive volleyball. More photos to come but we hope everyone has a fantastic night! We are 50 years this year and it couldn’t be a more exciting time than now to join in on the events and festivities that we have planned for you in 2015. Please register your interest regarding the proposed events so that we can adequately plan and spread the word to all members, past and present! Thank you to all that have signed up during O'week. We hope that you will enjoy a fun filled year of volleyball with your mates! Don't forget to come down next Wednesday the 4th March at 7pm for the Prize Draw and the Social BBQ with social volleyball to follow into the night. Also if anyone is interested in volunteering with the BBQ please let us know. Come down and find us this week at Monash University's Clayton O'Week where we'll be happy to answer any questions you may have about us. Also if you haven't signed up as a member yet for 2015 you can do so in person and automatically go into the draw for a special prize! Social Volleyball (https://www.facebook.com/groups/105441839540321/) Open to ALL skill levels! If you are interested in playing competitive volleyball it isn't too late to join - new players are always welcome! We have a few things coming up in January so stay on the lookout! We are calling anyone interested in competitive volleyball to attend our Division 2 Men's training tonight at 6pm comprising of a fitness/injury indicator test at 6pm and preseason training to follow. Social volleyball is also back up and running and will kickoff tonight at 7:30pm til late and will run every Wednesday throughout the year unless we notify otherwise. Both are being held at Monash Sport Clayton Campus. More announcements to come soon so stay tuned folks! Monash University Volleyball Club would like to wish all past, present and future players a very Merry Christmas and a Happy New Year! Head down to MSAC to support University Blues Women defending the Gold Medal !! Reminder: NO TRAINING at Monash Uni on Wednesdays or Thursdays starting tomorrow for the next 2 weeks, due to the stadium being used as an exam venue over the Semester 2 exam period – but never fear, training will be back on Wednesdays and Thursdays from the 19th of November for 3 weeks before we wrap up for the year. Good luck to those with exams! Inviting all interested volunteers to a session to brainstorm and kick-off the MUVC 50th Anniversary planning - come with your ideas !! Anyone interested is encouraged to contact us here. Congratulations to all those who won awards at the 2014 Monash University Presentation Night. All very worthy winners who have had fantastic seasons. 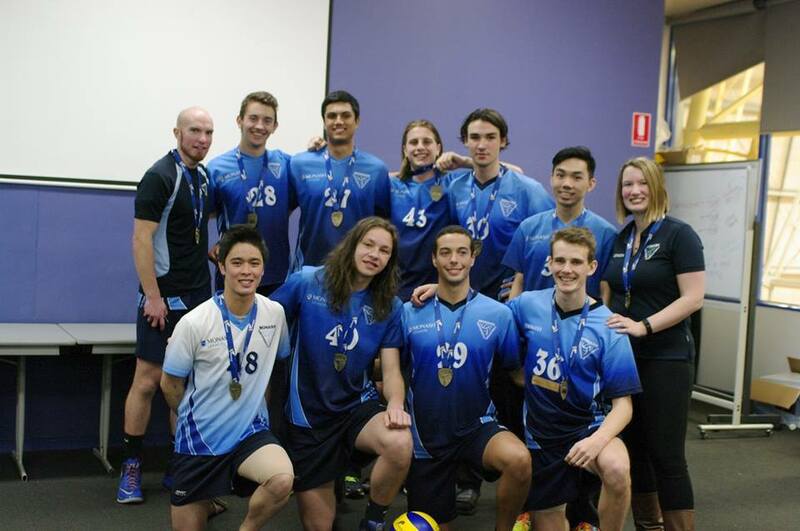 Monash University Volleyball Club would like to thank Mark Dorosz and the team at Arcadia Hotel for hosting our 2014 Presentation Night. A fantastic venue, great service and amazing food. A big thank you to the members who turned out for last night's Annual General Meeting, our outgoing 2013/14 Committee for their efforts, and incoming 2014/15 Committee for volunteering to be part of the team. Any members wishing to see the minutes from last night's meeting, please email secretary@monashvolleyball.com.au for a copy - they will be available soon! The last week of the VVL season approaches. 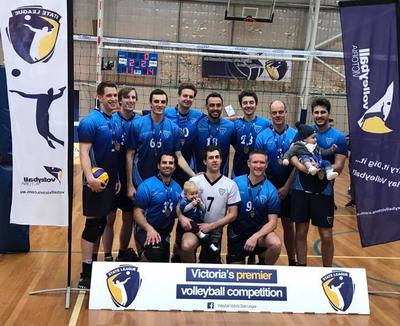 You can come down this Saturday @ State Volleyball Centre (270 Stud Road Dandenong North) and check out the talent on display with all the victorian teams playing in a grand final. Also a big thank you to all our fans that have supported us throughout this season. We have been asked again by Sue Bennetts at Star of the Sea college to help find referees for the SCSA (Seconday Catholic Sports Association) girls volleyball competitions, which are to be held this year at MSAC on Tuesday 26th, Wednesday 27th and Thursday 28th August. They need 13 referees for 12 courts across the day. They would prefer qualified refs of course but really need competence and understanding of the rules. The pay is very good at $130 per day, the refereeing is quite easy. If you are only available for part of the day (e.g. morning), you can still contact Sue and then possibly share a spot with someone. Please include your mobile phone number for SMS contact. And please feel free to pass this on to anyone who might be interested. Venue: Melbourne Sports and Aquatic Centre (Albert Park). Time : Start 9am, finish 3:30pm. 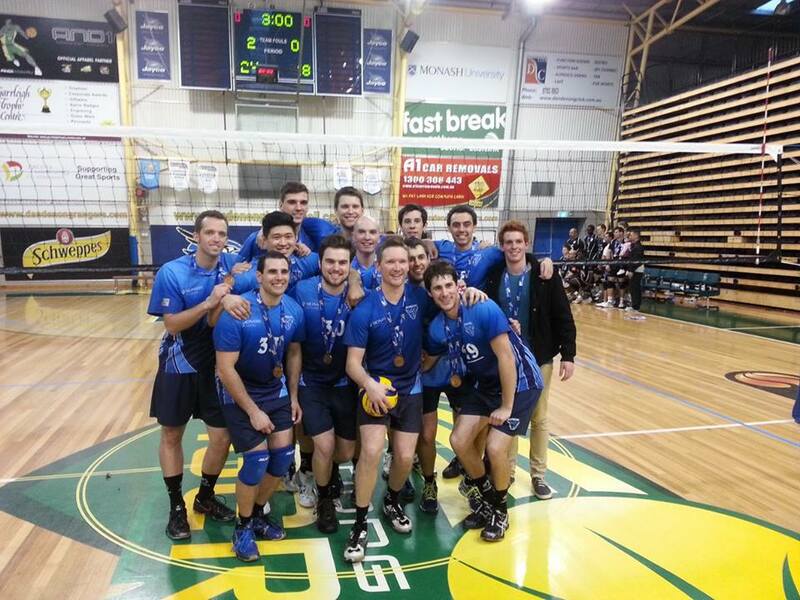 Congrats to the mens reserves boys for progressing straight to the Grand Final for 2014 VVL after their win on the 2nd. Premiership hopes are still alive for 3 monash teams playing this Saturday. Come down to the State Volleyball Centre (270 Stud Road Dandenong North) and catch the penultimate week of finals. NOTICE OF AGM - The club's 2014 Annual General Meeting is scheduled for Thursday 21 August at the Monash Sport Stadium (Building 1, Monash Clayton Campus) at 7:30 pm. 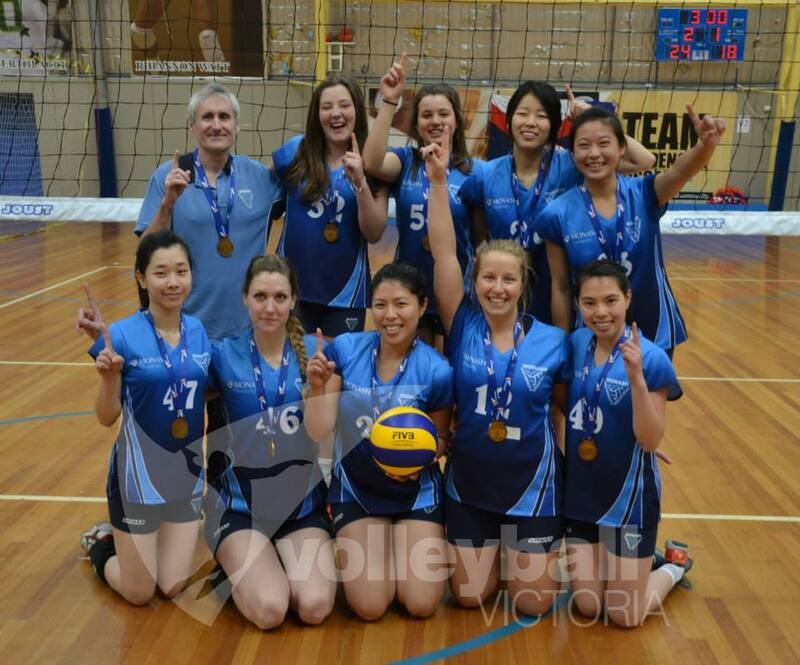 This year's meeting will contain two Special Resolutions regarding the definition and reinstatement of the club's purposes, and an adjustment of the club's financial year.For exact details about the two Special Resolutions, nominating for a 2014/15 committee role, and proxy voting please contact secretary@monashvolleyball.com.au - please note that only members who have fully paid club fees will be eligible to vote and nominate for committee positions, see you there! This is a friendly reminder that Social Volleyball will not be running for the next 3 weeks due to the stadium being used for exams. We will be back on July 2, see you guys then! 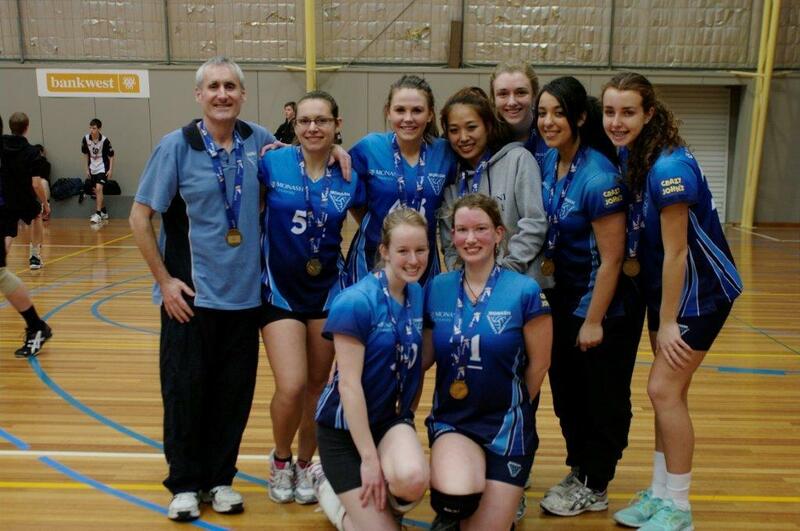 Round 6 saw another fantastic weekend for Monash University teams, winning 8/9 matches. Make sure you like and subscribe to our Facebook page so you don't miss out on important news on our 2019 schedule. Girls and boys training programs now available! For more details please see Our Programs. Looking to get some coaching experience? Want to start coaching teams? 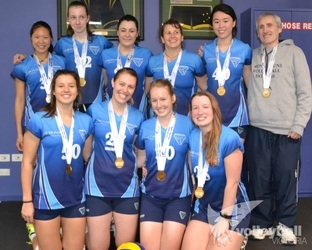 Monash University Volleyball Club is the largest volleyball club in Victoria, featuring teams in all divisions of the Victorian Volleyball League(VVL). The club has been unprecedented in winning the most successful club award for 14 of the 19 years this award has existed. 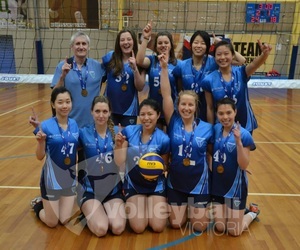 Contact: 9794 0009 admin@volleyballvictoria.com.au for more info. Every Wednesday night 7:30pm-10:30pm from January to late December - Monash Sport Stadium Clayton. 2017 VVL Division ll Men, Grand Final winners! 2017 VVL Reserves Men, Grand Final winners! 2017 VVL Premiers Women, Grand Final winners! 2016 VVL Division ll Men, Grand Final winners! 2016 VVL Reserves Men, Grand Final winners! 2016 VVL Premiers Men, Grand Final winners! 2015 VVL Reserves Women, Grand Final winners! 2015 VVL Reserves Men, Grand Final winners! 2014 VVL Division ll Women, Grand Final winners! 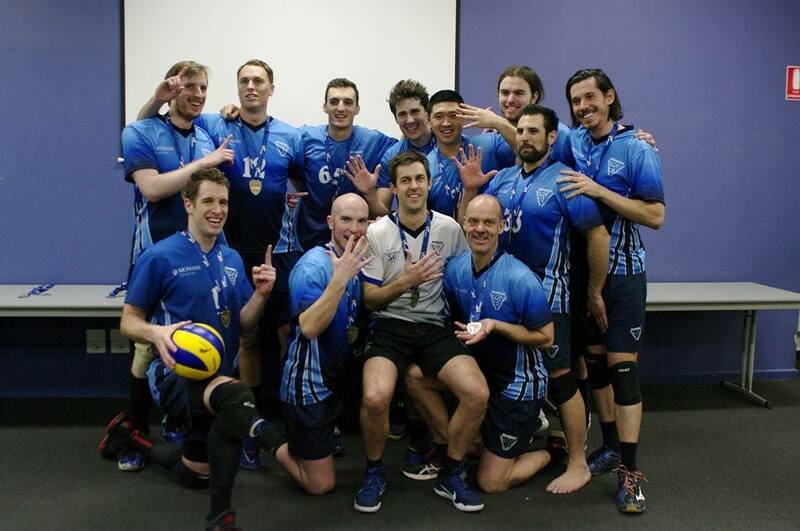 2014 VVL Reserves Men, Grand Final winners! 2013 VVL Reserves Men, Grand Final winners! 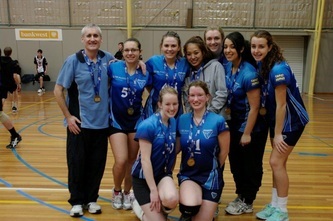 2012 VVL Division ll Women, Grand Final winners! 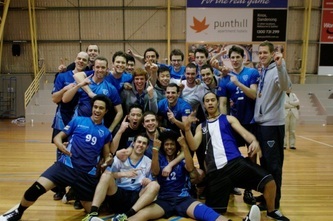 2012 VVL Reserves Men, Grand Final winners! 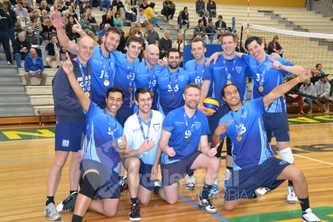 2012 VVL Premiers Men, Grand Final winners! 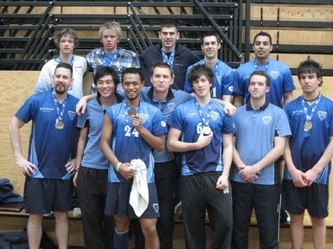 2009 VVL Reserves Men, Grand Final winners! 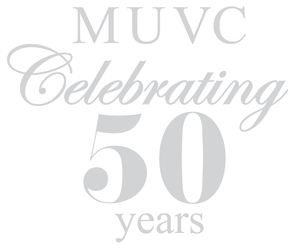 MUVC turns 50 years in 2015! Click for more info.